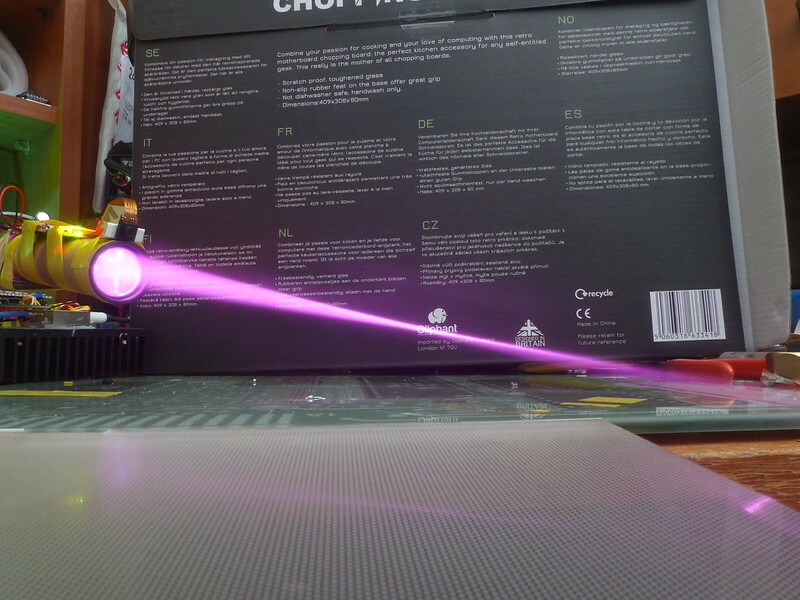 That's a fantastic beam shot of your 672nm, DashApple! Love that red color too, +rep already delivered. Here's a comparison between a uber expanded 1.4 watt NDG7475 520 nm laser and a 6 watt expanded 450 nm NUBM44 laser. These two hosts are kind of ghetto with the lenses held on by electrical tape, but it gets the job done. The way I have it setup, the NUBM44 uses a lens with too short of a focal length for the spread of the beam before being collimated by that lens, a lot of potential expansion wasted, but doing so the output has absolutely no wings i can see on the beam. If I don’t do this, the wings are horrible but I could make it about half as much wider and still be without wings, except the telephoto lens has an iris inside which then clips the beam some, even when opened all the way. I should remove that iris and get a solid machined fitting for the lens cone. Ideally, for both of these pointers I need a set of cylinder lenses inside to match the slow and fast axis closer together to make a square output, instead of a rectangle, but then I would need to expand the beam after correction to get a low divergence output, more complexity, greater loss. When using cylinder pairs, beam correction needs to be done with a collimated beam first, unfortunately. Wish I had correction ahead of the beams to make the slow and fast axis match better. 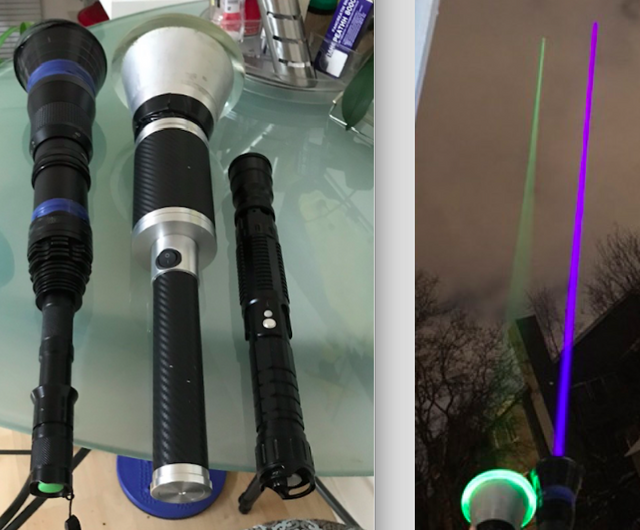 I have a JetLasers PLE-PRO 532 nm laser pointer with a 10x beam expander on it next to these two pointers to show scale better, for those of you who are familiar with it. Thanks for the comments and rep : ) , Its definitely my favourite wavelength of red . The exposure was 8 seconds with the diode at around 800mW it can do about 1W when you chill the diode with the TEC in the TO3 can . My iPhone makes it look purple, I think it does that due to over saturation. My big hosts need a machine shop to make rverything tight, I had intended on finding someone to machine some hard fittings, the heads are a little too flexible, you can see the beams are not perfectly centered on the glass. The 520 nm is without a G2 lens, just the big one to collimate, the 450 nm has a G2 lens inside which is partially out of focus to keep the beam profile width at about 1.5 inches, I don’t get astigmatism wings thst way, if I fill up the whole diameter of that lens, I do. Do you think the camera is over saturated focused on the beam, from the side? That is the most violet 450nm beam I think I've ever seen. I rotated it so the wide side was facing the camera, I will try again. That looks like so much fun! 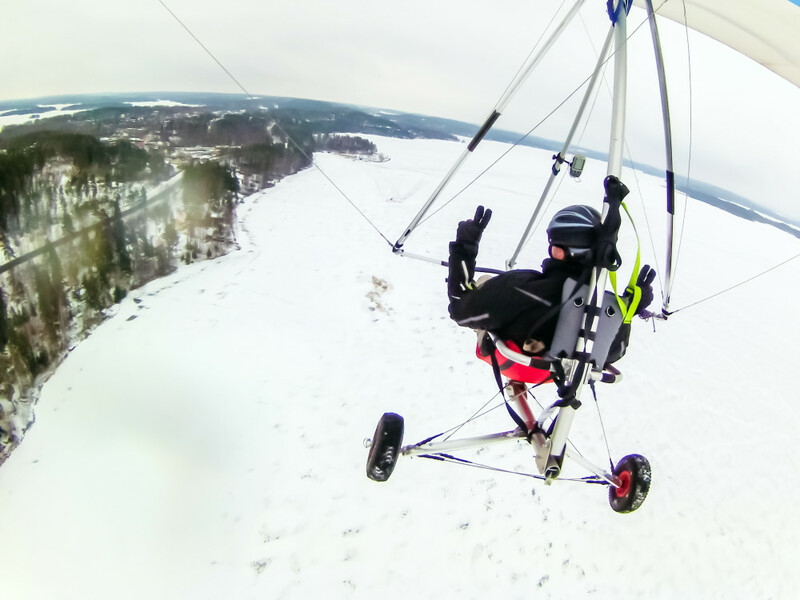 Does one need a pilot's license to fly such a craft? 20W IR 9xx nm , 8 Seconds exposure with light fog , Fibre isn't dead centre by the looks of it . What camera do you use? IR 9xx shall not be visible for an eye even at 20W. Just a standard DMC-FZ200 . Its invisible to humans yes but the camera can see it as some IR gets past the IR filter and at this power level with fog and a long exposure you get a picture showing the beam . Hey, nice to see another "Panasonic Dude" on here LPF!